The 90-minute event at Solana Vista Elementary School also included Canyon Crest Academy freshman Alyson Tharp singing the national anthem, a Presentation of the Colors by the U.S. Marine Corps, entertainment by an all-age band of adults to 9-year-olds and advice from former professional ball player Jared Eichelberger. “Keep your work ethic up, keep trying and you’ll get better every single year,” said Eichelberger, who pitched for the Chicago Cubs, New York Mets and San Diego Padres. 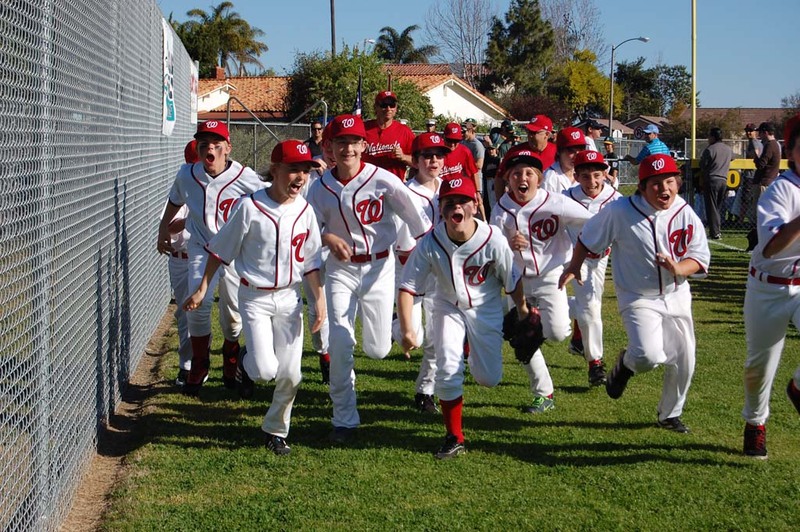 The Major Division Nationals, made up of players between the ages of 10 and 12, enthusiastically take the field for the parade of teams during Solana Beach Little League’s opening day ceremonies March 2. This year 426 boys and girls between the ages of 5 and 14 signed up to play in one of seven divisions: Juniors, Majors, AAA, AA, A, Rookie and T-Ball. Games are held primarily at Solana Vista and Skyline Elementary. This year a capital campaign will be held to rebuild the Snack Shack at Solana Vista that will transform the aging facility into the Healthy Hut with more healthful snack items. Drawing the biggest reaction of the day was an announcement that a hit-a-thon fundraiser scheduled for March 23 will award an iPad Mini to the player who hits the most homeruns. Solana Beach City Councilman Peter Zahn encouraged the players to have a lot of fun. “Invite your friends to come out and take part in this wonderful organization,” said Zahn, who played Little League as a youngster, as did his children. Since 2007, the city has awarded the all-volunteer, nonprofit organization $19,500 through its Community Grant Program for field improvements. 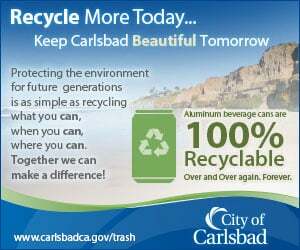 “My intention is for that to continue,” the newly elected councilman said.